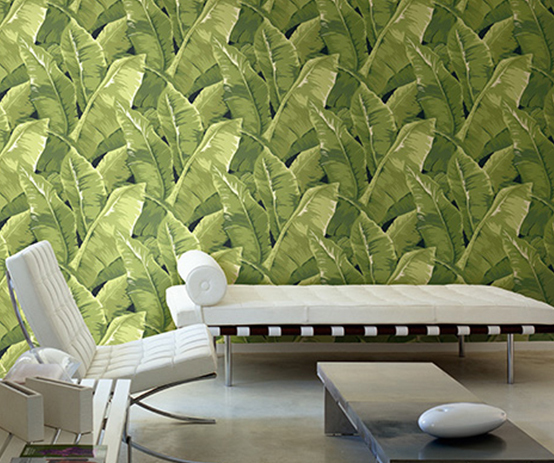 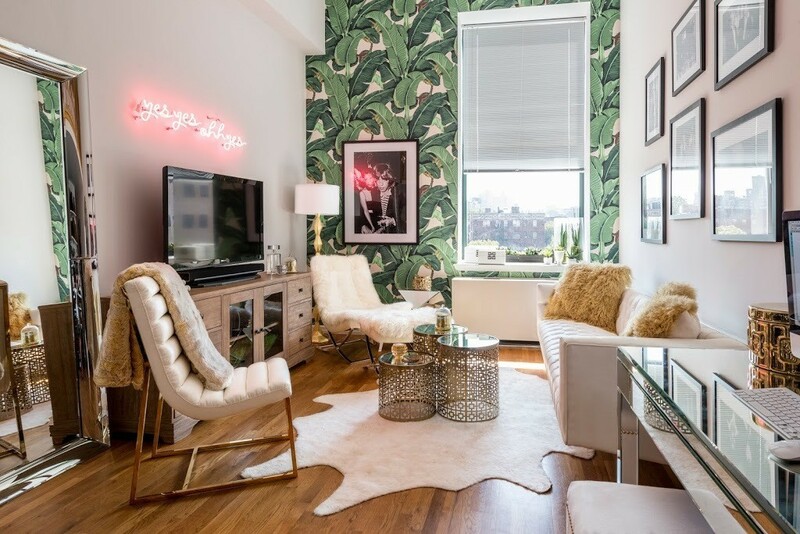 Ok.. love the fact that Z Gallerie used a large banana leaf print on the end wall. 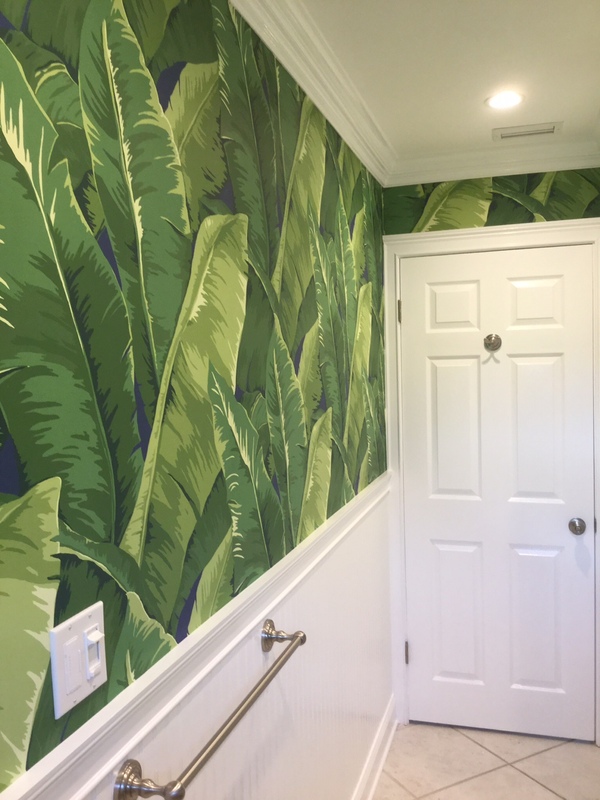 This is my favorite print and have to share my banana leaf print from Charleston Home with you as well.. 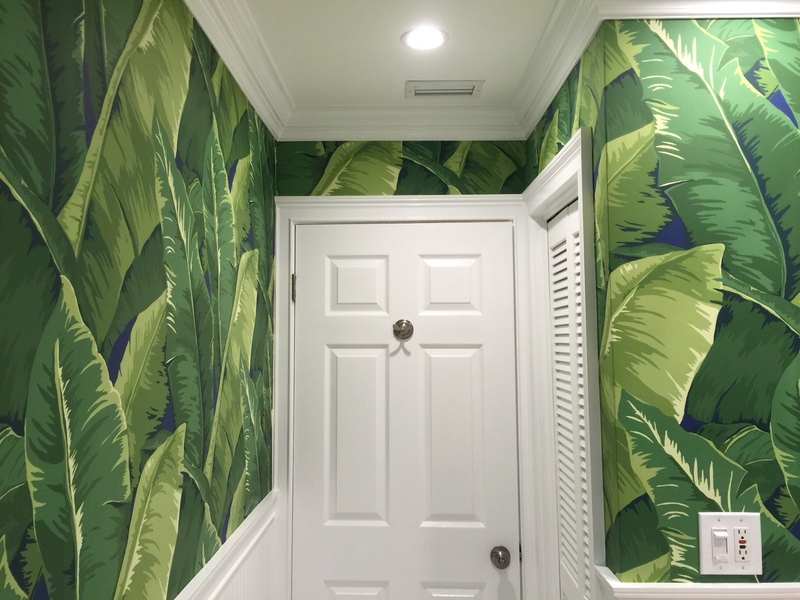 I have it in the guest bathroom… Love Love Love this!! 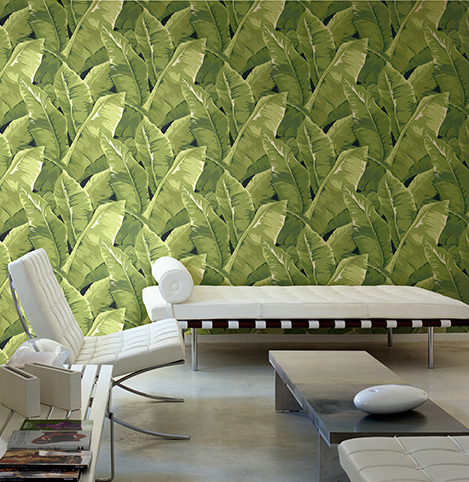 This pattern really makes a design statement and you don’t have to live in the south to be so bold and tropical.